← Can Green Tea Promote Longevity?…. 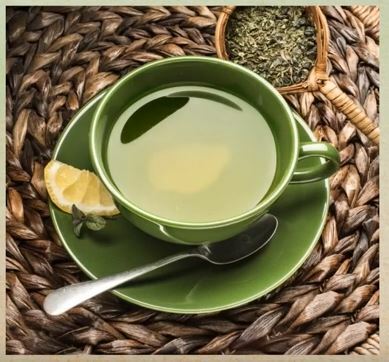 More important than caffeine in green tea is an amino acid called L-theanine, which crosses the blood-brain barrier and boosts brain health (20). This amino acid increases the activity of GABA, another inhibitory neurotransmitter (but the good one), which has anti-anxiety effects (21). Green tea can also aid in the treatment or prevention of serious brain ailments like Alzheimer’s and Parkinsons’ disease. Studies have found that individuals who drank green tea once to six times in a week had fewer chances of mental decline (23). Green tea can also cut the risk of age-related dementia. It also enhances memory. This entry was posted in Diet Advice, Green Tea Health Benefits, Health Advice, Health Information and tagged Alzheimer's, amino acid L-theanine, autoimmune diseases, brain ailments, GABA, green tea catechins, inhibitory neurotransmitter, Parkinsons’ disease. Bookmark the permalink.